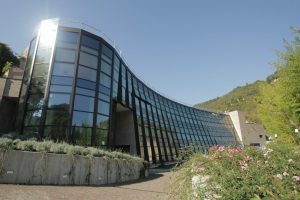 The Eugenio Gruppioni Health Center is a poly-specialistic health facility whose medical and surgical activities are carried out through hospital services, rehabilitation and diagnosis. It was established in 2002 as a nursing home and rehabilitation center for people suffering from osteo-articular, neuromotor diseases or recovering from acute surgical episodes requiring help to restore a state of psycho-physical well-being and consequent reintegration into full autonomy in their social, family and work environment. In recent years, diagnostic-therapeutic activity has been enhanced through the expansion of specialistic medical offer and the introduction of new diagnostic support technologies. This has allowed extending the assistance to Patients with acute and chronic diseases in the field of internal medicine.